Dozens of steel bolts that are used to help hold together the new Mario M. Cuomo Bridge broke apart during construction, and there are allegations some leading workers tried to cover up the potential problem, the News 4 I-Team has learned. The New York state attorney general has been investigating the broken bolt issue and the surrounding corruption allegations. Some engineers stressed there is no immediate safety issue, but they said cover-up allegations surrounding dozens of broken bolts have raised questions as to just how many of the 1 million bolts used on the bridge might need to be inspected or even replaced over time. Thomas Eagar, a leading engineering expert at the Massachusetts Institute of Technology, told News 4, "When I hear about false certification of documents it causes me great concern. Not that there is a real technical problem. There is a corruption problem." There is a firestorm of political controversy surrounding the new Mario Gov. Cuomo Bridge. Checkey Beckford reports. News 4 has obtained reports about approximately 60 bolt failures and alleged cover-up attempts. The whistleblower is a former safety inspector who turned over recordings that could highlight some of the alleged wrongdoing. In one transcript obtained by News 4, an ironworker foreman is on tape discussing some of the bolt failures saying, "It’s a major defect that does not normally occur." When that foreman is asked why breaking bolts were not immediately reported to the State Thruway Authority, the foreman allegedly said, "That would shut down the whole job." An engineer in charge is also heard on audio. When asked on Feb. 25, 2016 why he was not reporting the breaking bolts issue, the transcript of the tape reads, "They are instantly going to think it is a manufacturing defect … From there it gets blown way out of proportion." The whistleblower alleges that throughout construction, evidence of broken bolts was discarded and documents were falsified. A spokeswoman for State Attorney General Barbara Underwood confirmed her office is investigating. State Thruway officials say they first became aware of a few bolts breaking in 2016 and began initial testing and monitoring at that time. Officials at the the Thruway said after they learned of the corruption allegations in 2017, they did repeated testing of bolts to make sure there was no manufacturing defect or other widespread problem. 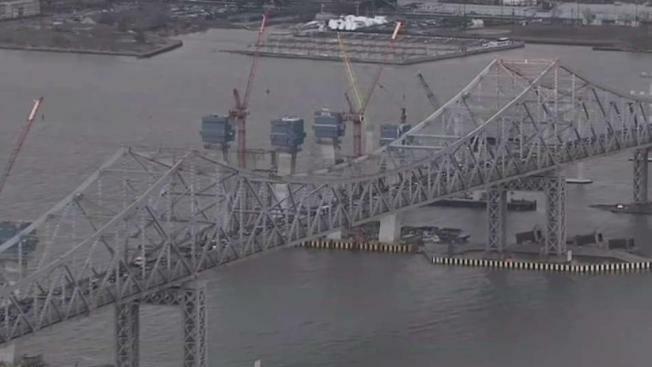 The new span of the Mario Cuomo bridge is expected to open after collapse fears over the old Tappan Zee put that on hold. Now there's some new revelations surfacing accusing the Cuomo administration of rushing the bridge opening ahead of the gubernatorial primary. Melissa Russo reports. 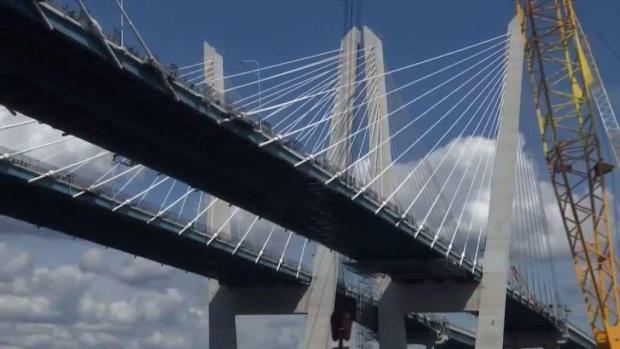 "Well over a year ago, the Thruway Authority hired independent experts to check the safety of the bolts on the new bridge," said spokeswoman Jennifer Givner. "After a thorough review, and before the first span of the new bridge opened to traffic, the independent experts concluded that the actual bolts and the bridge are safe. Public safety is our highest priority and the bridge is completely safe for the traveling public." But the whistleblower has filed a lawsuit and enlisted experts who say an issue known as hydrogen embrittlement, or H.E., could be causing some bolts to break. H.E. is where hydrogen contaminates steel, causing the bolt to become brittle and break. The concern is if widespread H.E. or bolt cracking exists, many bolts will have to be replaced at an expense that could total tens of millions of dollars. A hydrogen embrittlement problem existed in construction of the Bay Bridge in San Francisco. Testing and repairs ultimately totaled more than $50 million. A report by engineering firm Alta Vista said the more likely cause of the past broken bolt issue is pre-existing cracks in manufacturing in a small percentage of the bridge’s one million bolts. But an expert that Alta Vista relied on did not rule out the possibility that defects in the bolts could lead them to fail over time due to hydrogen. But Eagar said, "To be fair, the data that we have so far shows there is no hydrogen embrittlement, but we haven’t completed taking all the data yet. I am not going to take a position (when the data is not in) … But I can tell you I see no public safety issue in the near term even if it is the worst possible situation (of H.E.) that we run into." The Thruway Authority said additional tests on bolts have been ongoing. Eagar said a broad sample should be taken and tested to make sure there is no widespread problem with bolts on the bridge. 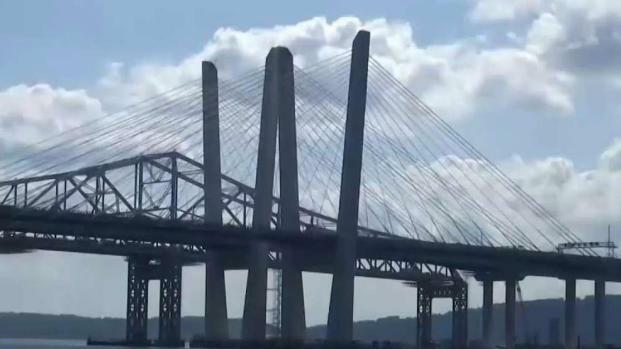 A spokeswoman for the bridge builder Tappan Zee Constructors said it is cooperating with the Thruway Authority and State Attorney General’s office. "To date, all bolt testing performed by multiple parties indicates there is not an issue with the bolts," the spokeswoman said. "Despite TZC’s continuous request that it be provided with any updated information concerning the quality of the A490 bolts, TZC has not been provided with, nor is it aware of any information that is contrary to these bolt testing results. TZC has demonstrated a constant willingness to address any additional issues and will continue to do so."